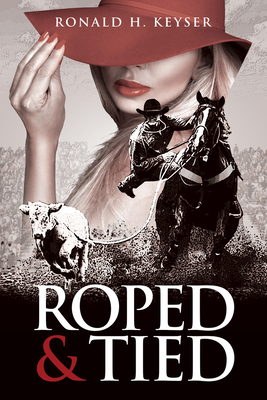 “Roped & Tied” is the fictional story of Sharlette Jones, a young woman from a well-to-do family who gives up a life of privilege to marry and travel the professional rodeo circuit with Ray Stoper, a dashing young tie-down roper who, over the years, firmly establishes himself as the best of all time. The story’s backdrop paints a vivid picture of the highs and lows of professional rodeo life, but the plot also exposes the weaknesses of the main characters, from excessive drug and alcohol use to turning their backs on family and friends, adultery and family violence. The story is about good times and bad, and the lengths Charlotte and Ray are willing to go to to establish their legacy in one of the most competitive sports in the country. That same drive, however, could also be the reason they lose their grip on the one thing they want the most.